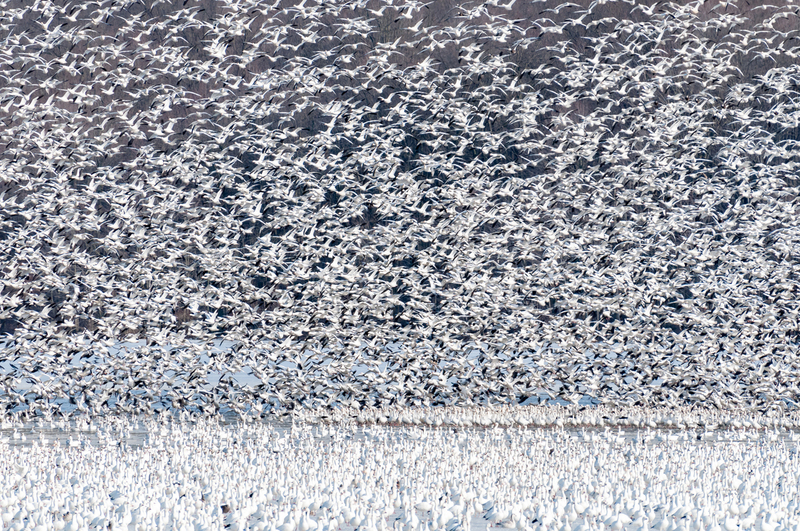 In February at Middle Creek Wildlife Management Area snow geese invade the area as part of their migration. Average numbers are over 70,000. In 2007 they had a peek of 170,000. When they all take off the sight is amazing. The sound is almost deafening. It needs to be seen. 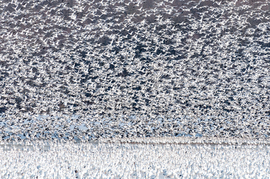 There are normally some tundra swans that join them. Their numbers average 5,000-10,000. Visit Bill's photography website to see more wildlife photos!